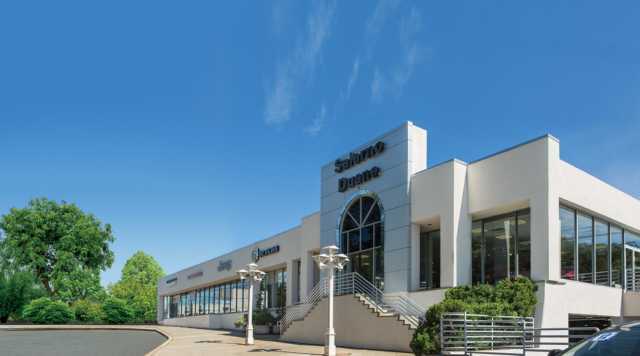 Salerno Duane Jeep Chrysler Dodge located near Morris County, is one of the premier Jeep Chrysler Dodge dealerships in the area. We are proud to be one of the finest Jeep Chrysler Dodge dealers serving our friends in and around Morris County NJ. Salerno Duane is geared to offering a hassle free car buying experience, from a test drive, to helping you through the financing process to answering any questions you may have. Our Morris County Jeep Dealer has a wide selection of NEW Jeep, Dodge, and Chrysler cars up for sale. We are located near Route 22, 24, 78, I-95 Turnpike and Garden State Parkway in order to better serve your NJ Jeep buying needs. Looking to buy a New Jeep? Check out our current Morris County Jeep Specials! Let us help put the keys to a Brand New Jeep, Chrysler, or Dodge in your hands! Our Used Jeep inventory in the Morris County area attracts a variety of customers, and our sales department is fully trained to answer all of your questions. We are Morris County’s Used Jeep Specialists, offering a variety of used Jeep, Chrysler, and Dodge cars and trucks that have been well maintained and are ready to endure whatever you put them through. Check out our Morris County Used Jeep Specials to save you money when you stop by Salerno Duane of Summit and buy your next Jeep, Chrysler, or Dodge car! Servicing your Jeep, Chrysler, or Dodge in the Morris County NJ area has never been easier. At Salerno Duane of Summit, our Service Department’s main concern is care and convenience and that is why we offer FREE Lifetime Loaner Cars and Shuttle Service to get you to work! To sweeten the deal, our Morris County NJ Jeep Dealer offers online Jeep appointment scheduling and special Jeep service coupons to save you money! Have a question about your service appointment? Ask our NJ Jeep service advisors who will get back to you with an answer.